Cutting leather may seem like a daunting task but it’s actually easy to do. What can be tricky, however, is making sure those cuts are done just right. Thin and soft leathers are especially known for pulling as you cut them. Small mistakes can affect the overall result of your project. One of the things to ensure you make smooth and accurate cuts for both thick and thin types of leather is to use the right leather cutting tools. There can be a lot to choose from so we narrowed down the list below to the essential ones. A utility knife is a tool that you may already own. Many people use utility knives for daily tasks and random home improvement projects. They can be useful for cutting up carpets and slicing open boxes. It’s always smart to have one of these knives handy because you never know when you might need one. When it comes to leather cutting, it is essential to have the right cutting tools. A utility knife will work great when you need to cut pieces of leather. These knives are incredibly sharp and are very thin. This is exactly the type of knife you need when you’re trying to make precision cuts to a piece of leather. This will be one of the ideal tools for cutting thin pieces of leather. You can make detailed cuts, and it will turn out nicely. The only problem you will need to consider is that this knife is not meant for cutting thicker pieces of leather. It simply is not the right blade for cutting thick slabs of leather, and you should turn to another cutting method when you have thick leather to cut. The blades of your utility knife will need to be changed out after being used for cutting leather, as well. It will wear out the blade over time. Luckily, utility knives can be loaded with new blades rather easily. You’ll definitely want to pick up a high-quality utility knife if you don’t own one already. The craft knife is actually going to function similarly to the utility knife mentioned above. 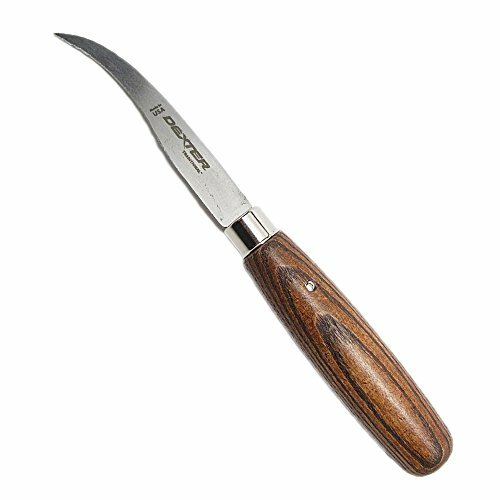 It is another very sharp blade that is perfect for making precise cuts to your leather. When you need to make some detailed cuts in order to finish a leather piece, you’ll want to turn to this knife. It has a thin blade that is sharp enough to make the cuts precisely every time. It carries the same weakness as the utility knife, too. This is another knife that is excellent for thinner pieces of leather. When it comes to cutting thicker pieces of leather, you’re going to be better off turning to other cutting methods. It is a tool that you will want to keep around, though. A craft knife should be used to make detailed cuts. You need to know when to use the right tools for the job. You’re going to be doing a lot of fine detail work when working with leather pieces. You’ll be getting very familiar with either your craft knife or a utility knife. Some people really prefer the craft knife to the utility knife. The handle of the craft knife is long and thin. You will probably want to purchase this instead of a utility knife if you’re going to be making leather items. It can be useful to own both though, and if you already own a utility knife, then you will be able to make do. You will need to make holes in your leather in order to put rivets in it or even snaps. This is something that is common for those who make leather bracelets. You need people to be able to wear them, and you’re going to have to set the snaps in the bracelet for it to be complete. The way that you make the holes for your bracelets is by using a manual punch. This manual punch sort of looks like a pair of pliers. You will position the manual punch where you want the hole to be. You then press it into the leather and make your hole. Sometimes you will need more power in order to properly create the hole in your piece of leather, so the use of a rubber mallet may be required. There are other styles of manual punches available, too. They’re pretty versatile because they come in several sizes and will help you to punch holes even in hard to reach places. If you are going to be performing a lot of leather work, then you will want to own one of these. They will be an invaluable part of the process. This manual punch is made completely out of metal. You will be able to operate it using one hand in most situations. It features a convenient spring that makes punching the holes into leather fairly simple. You might be able to cut into the thin leather with the hole punch without the use of a mallet, making it a very useful little tool. The rubber mallet will seem like the odd tool out on this list. It isn’t actually a tool that is meant for cutting leather, but it is still a very important part of the process. The hole punches that are mentioned above are going to be best used with a rubber mallet. You will be able to hammer the hole punch in order to make the holes that you’re desiring. Mallets are used for leatherworking in a lot of other ways, as well. You’ll make use of a mallet to pound in rivets. Stamping pieces of leather will also require a mallet. Setting snaps in your leather will require a mallet, too, so this is important to have around if you plan on making items such as bracelets. Some leather pieces may need to be flattened out properly, too. This will be easy to do when you have a rubber mallet to work with. You can strike the leather without damaging it and get everything prepared properly. It isn’t a leather cutting tool, but it is important to the leather cutting and leather working process. It’s important to note that you should never use another type of hammer for these tasks. If you tried to accomplish the same tasks by using a claw hammer, the results would not be favorable. You could wind up damaging the leather and really messing up what you’re trying to do. Avoid this, and ensure that you purchase the rubber mallet that you need today. A swivel knife is another tool that you are going to be getting familiar with. It is an important part of the leather cutting process, and you will be using it for detail work. It features a very sharp cutting head that makes cutting into a leather piece quite simple. You’ll be able to perform many tasks with your swivel knife. As you might expect by the name is this knife, it has the capability of swiveling. It might be more accurate to say that it rotates, making it a type of rotary knife. You can use this to carve the leather to your liking. People who make ornate works of art on leather pieces will use swivel knives like this to do the job. If you plan on making beautiful leather wallets with custom designs, then you will be able to use a swivel knife to do parts of the work. It will be easy to carve the leather to your liking, and you’ll be glad to have such a reliable tool. This knife is even adjustable, allowing you to change the length of the tool and even the rotation bearing. This tool can be adjusted from a length of 80mm all the way up to 95mm. It is going to prove to be a very useful part of your leather cutting process. You will often find these swivel knives included in leather cutting kits, making it obvious that it is an essential tool to own. This product is a stand-alone swivel knife and will definitely be a worthwhile purchase. Skiving knives are important tools to consider purchasing, as well. These knives differ from the others that have been covered on this list so far. A skiving knife is good for making general cuts because it is very sharp, but this isn’t the primary function of the tool. It is excellent for skiving your pieces of leather in order to shave off pieces. When you want to be able to thin out a certain area of the leather piece that you are working on, then you will need a quality skiving blade. Skiving a piece of leather is something that you want to take slowly. You need to meticulously shave off the pieces of the leather that you are trying to alter. It may take some time, but you will be able to get great results when using this method. This tool here is just under seven inches in length. The wooden handle of this knife feels very good in your hands, making it easy to handle while you are trying to be precise. The blade itself is made out of stainless steel and will do the job very nicely. This is a tool that is going to be handy for both amateur leather enthusiasts and professionals. There are curved knives on the market that are perfect for certain leather cutting jobs. When you are creating complex items with your leather pieces, you may need a curved knife to make cuts in tight areas. This is the case when you are trying to craft your own leather shoes. There are going to be specific times when you will need a quality set of curved knives to be able to finish the job. Some people even refer to this type of knife as a shoe knife because of how closely associated it is with the shoe-making process. If you have any plans of attempting to craft shoes with your leather pieces, then you will want to purchase one of these. It is going to be a helpful tool that can make your job a lot easier. It will also be useful for making repairs to shoes and other leather items. The blade of this knife is three and a half inches long, as is the handle. The wooden handle of this knife feels very good in your hands, and you’ll be able to tell that this is a quality tool. The point of the blade is very sharp, as you might expect. It’s important to be careful when handling the tip of this blade to avoid injuries. This is not a blade that you will necessarily use for amateur leather cutting, but it will still be good to own. Depending on what you want to try to make, owning a curved knife is going to come in handy. As your skills grow, you will likely want to create more complex pieces. Having the right tools ready will allow you to attempt to broaden your capabilities. Leather shears are going to be another tool that you will want to purchase. These shears will allow you to cut pieces of leather effectively so that you can make your items. You want a quality pair of shears that is going to be sharp enough to cut through leather without having problems. For this reason, it is good to go out of your way to purchase shears that are specifically meant for leather. You can find shears that aren’t advertised as being leather shears that will work quite well, too. It is simply possible that the normal shears will be too dull to cut leather effectively. It will vary from tool to tool, so your best bet is to seek out leather shears. You should be able to find a quality pair of leather shears at your local arts and crafts store. These leather shears here are capable of cutting through leather very easily. You won’t have any trouble even when you are cutting through particularly thick pieces of leather. As you might expect, the tool will still have its limitations. You will want to make sure that the leather pieces aren’t so thick that it is impractical to cut through them with the shears. Having access to these shears should allow you to create many fine leather items. If you are going to use other shears or scissors, simply make sure that they are sharp enough first. You don’t want to make the leather that you are working on jagged in any way due to imprecise cuts. As long as you have sharp shears, this should be an easy process. Rotary cutters are common leather cutting tools that will be used for several purposes. When you first see a rotary cutter you will likely think that it resembles a pizza cutting tool. This is a very accurate comparison as you will be using this rotary cutter in the exact same way that you do a pizza cutter. It’s simple to use and will allow you to cut along patterns if you wish to do so. These cutting tools are actually used for purposes other than leather cutting pretty often. People purchase these rotary cutters for arts and crafts purposes regularly. They can be excellent for cutting through fabrics, felt, and even vinyl. It’s a great tool for leather cutting, as well, and it is going to come in handy when you want to finish off a project properly. When you want to use a rotary cutter to cut through leather, you’ll just want to ensure that it is sharp enough for the task. The leather is pretty tough and you will need to have a blade that can handle cutting it effectively. It might be beneficial to test out the rotary cutter ahead of time to ensure that it is going to be good for leather cutting. If it is advertised as being able to cut leather, then everything should work out just fine. There is a sliding button on this model that is being shown here. You can use it to extend the blade outwards while you are cutting. This is a pretty useful feature that might have some utility for you. The handle is very comfortable, and you’ll be able to make good use of this tool in your leather cutting efforts. This is an essential leather tool that you will need to purchase in order to finish many leather projects. The v-gouge allows you to properly gouge the fold lines of your various leather projects. If you want things to turn out nicely, then you’re going to need to have access to one of these tools. Thankfully, they are not all that costly and you will be able to purchase one without breaking the bank. You’ll be able to successfully create a v groove on your leather with this tool. There are several advanced techniques that will require a quality v-gouge like this. Both amateurs and professionals will be making good use of this tool in projects. It has several practical applications when it comes to leather cutting and general leather work. The grip of this tool is exceedingly comfortable. It has a beautiful wooden handle that feels very good in your hands. You’ll be able to maintain your grip, and you’ll always feel in control of this tool. Once you have become familiar with the process, using this tool is going to feel like second nature. This tool has been made using high-quality durable materials. You will be able to use it effectively for many years. It is a purchase that you need to make in order to properly finish many leather projects. Get the v-gouge that you need today to ensure that you are properly prepared to do your leather cutting work. Of course, you are going to need a dedicated surface where you can cut your pieces of leather. It is going to be in your best interests to purchase a high-quality cutting mat. If you buy a really good cutting mat, then it is going to be great for your leather cutting needs. The best mats on the market are even capable of resisting cuts and healing themselves over time. You don’t want to damage the table that you are working on. Buying a cutting mat is an affordable solution to your problems. You will have the surface that you need in order to perform the cuts properly. You won’t have to feel concerned about what is underneath you while you’re making the cuts, and everything is just going to go that much better. The fact that this mat is capable of healing itself over time will allow you to use it for many years. You won’t have to worry about buying a new cutting mat every few months. This cutting mat is going to stand the test of time and will definitely be a smart purchase. You’ll be able to get this cutting mat at a very fair price, so it is quite desirable for anyone who wants to start working with leather. A small anvil is actually very useful when you need to pound rivets or other things into your leather pieces. It can make for a very reliable surface when you are doing particular things. It might not be quite as useful as the cutting mat listed above, but for some purposes, it will wind up being even better. If you want to have a sturdy surface to rely on when you are using your mallet, then purchasing a mini anvil is a good choice. This little anvil here is made out of stainless steel. It is a durable item that will be able to stand up to punishment without any problems. 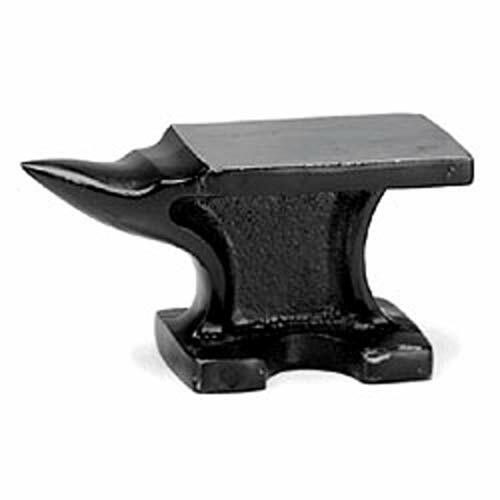 You can set your leather pieces on this anvil and get to work without worrying about harming it. This is also a lightweight anvil that remains durable without having to be cumbersome. Whenever you are working with cutting tools, it is a good idea to have a pair of gloves to use. You want to protect your hands from potential accidents. Some of these tools that you will use for leather cutting are incredibly sharp. If you purchase a pair of these cut-resistant gloves, then you will be much safer from harm. These gloves can resist cuts and keep you from making potentially devastating mistakes. You won’t have to worry so much about working with sharp knives when your hands are completely protected. Even professionals can make mistakes on occasion and slip. It is smart to own the safety gloves that you need, so be sure to purchase them before you start cutting your leather.